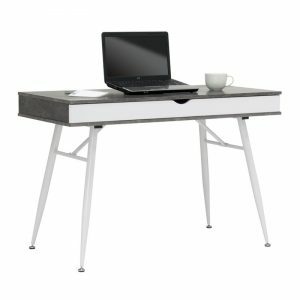 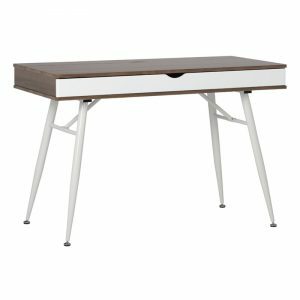 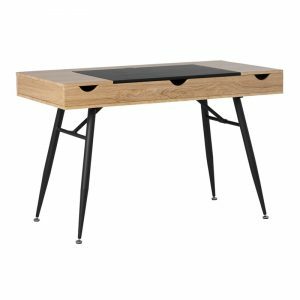 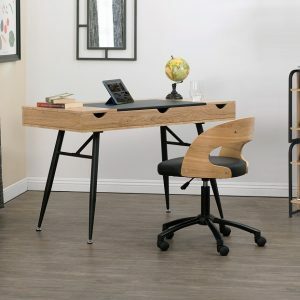 The Alcove Split Drawer Desk with Device Storage by Calico Designs brings together mid-century inspired design with a rear storage compartment with a cord management hole for storing your devices and supplies. 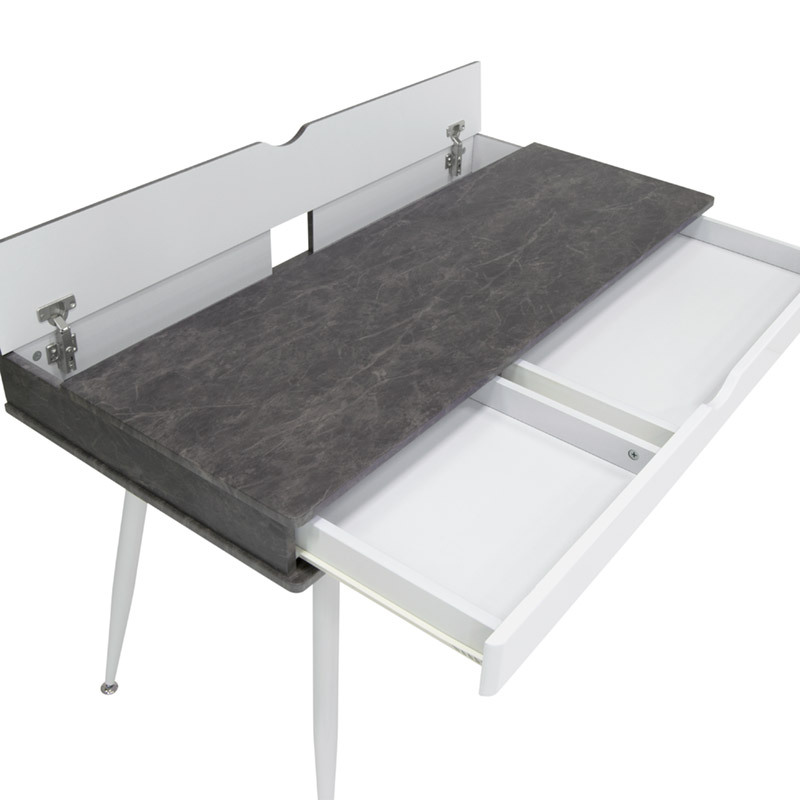 The split drawer feature allows you to organizer your office tools by providing a 13.75” and a 24.75” wide opening. Both drawers are 12.75” deep and 2” high. 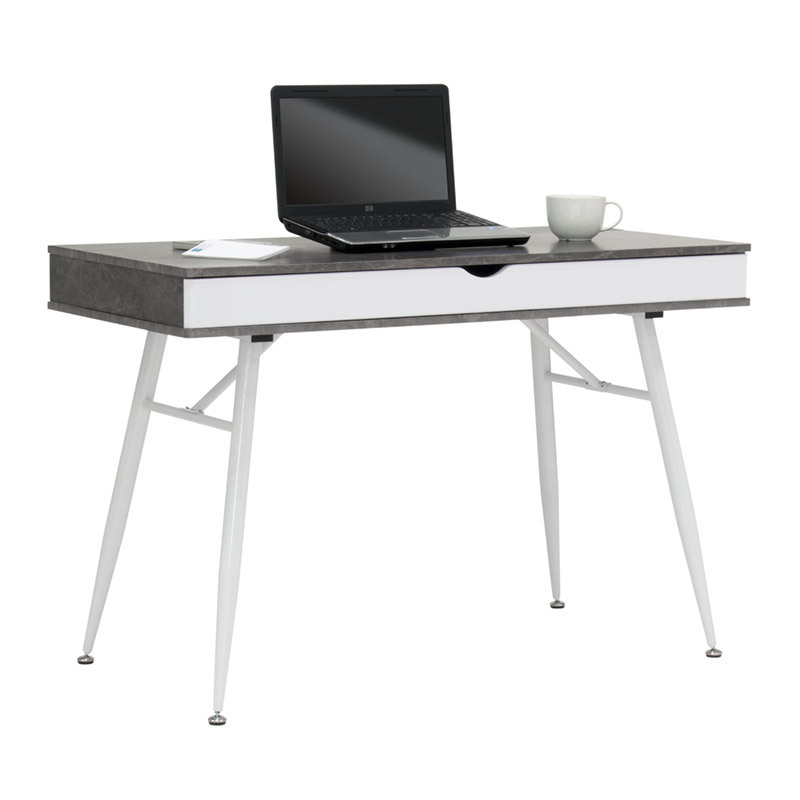 The rear compartment runs the full width of the desk and is 5” deep and 3” high with a hole in the back panel for any cords. 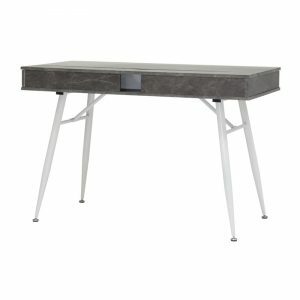 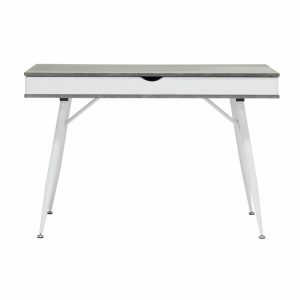 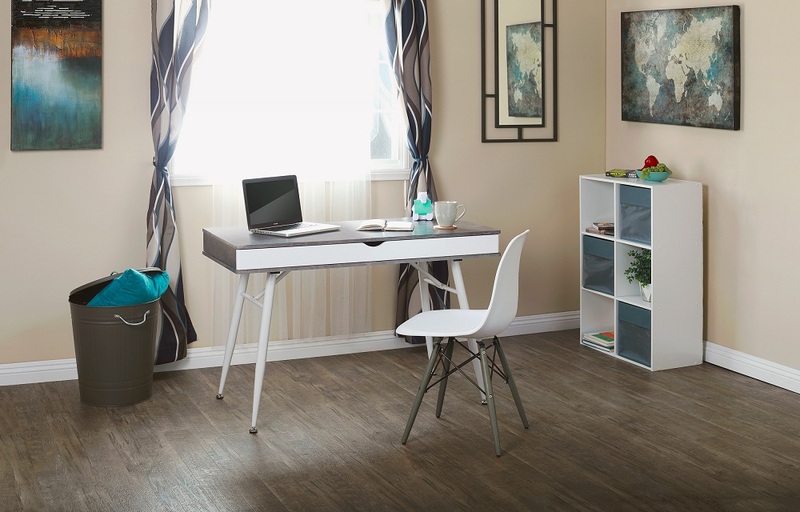 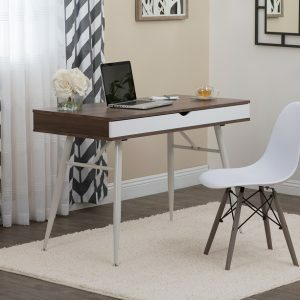 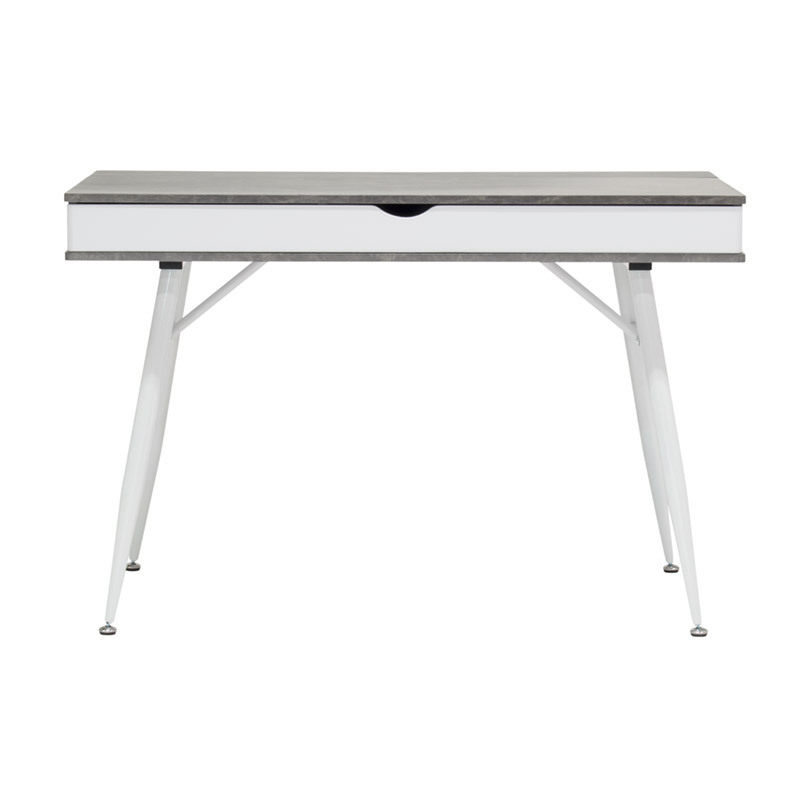 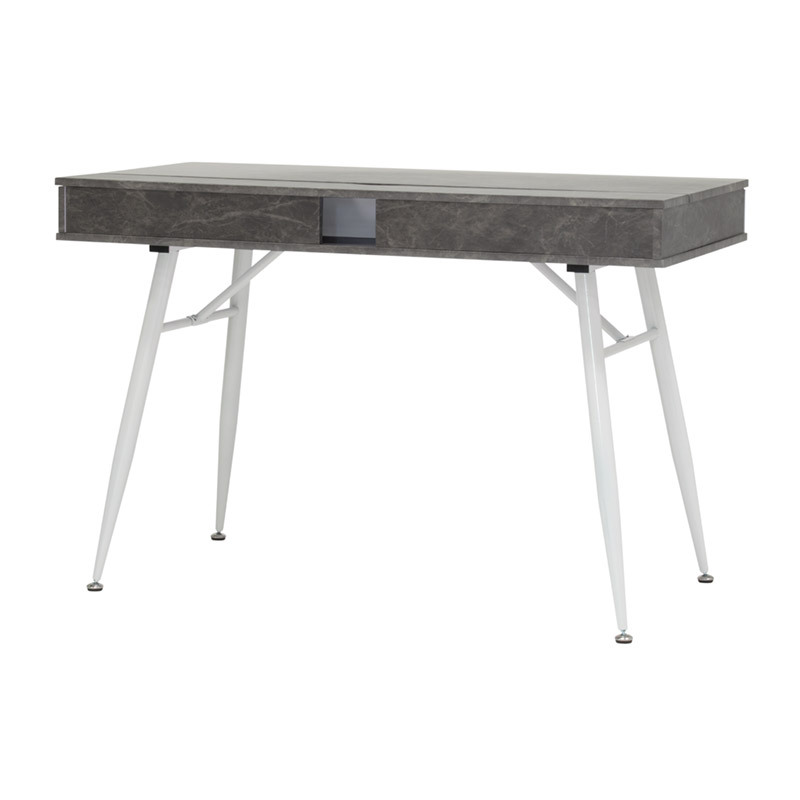 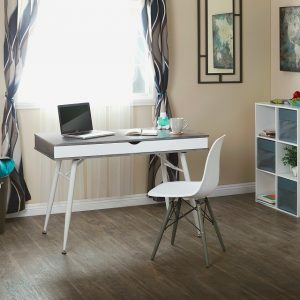 The unique finishes of this desk make it a modern office “must have”. 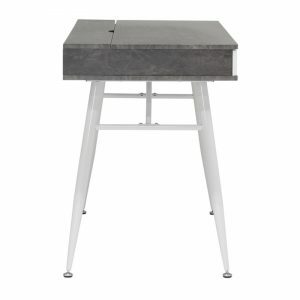 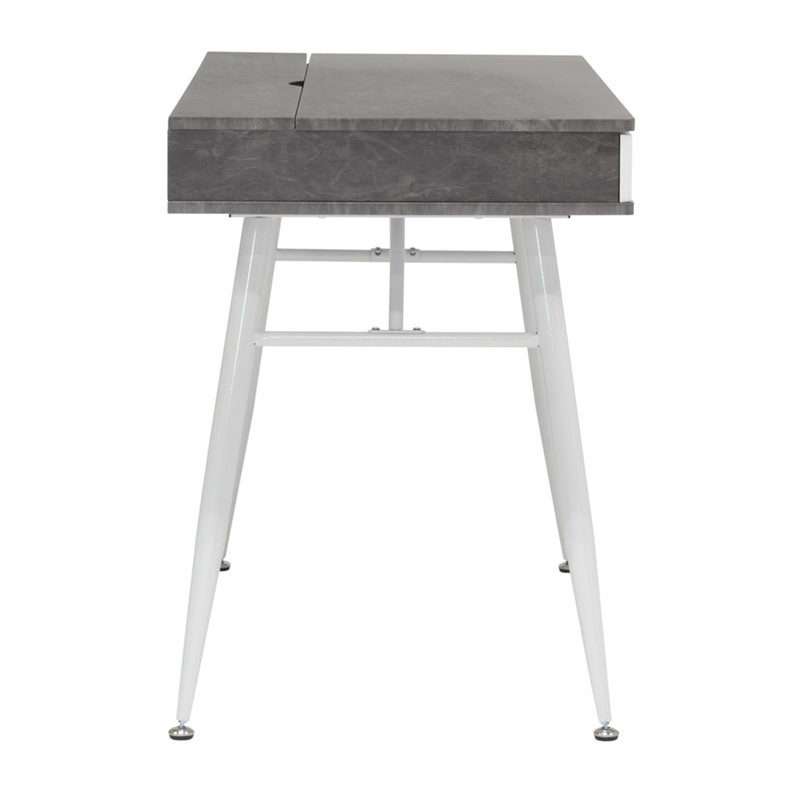 Available in White/ Grey Cement (Item # 51252 or White/Chestnut (item # 51253).